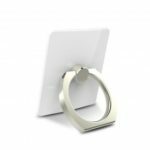 This finger ring holder is made of premium zinc alloy, with electroplating and polishing craft, smooth and solid, durable to use. Flexible rotation providing you with perfect viewing angles and hands-free convenience. 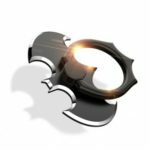 High-viscosity 3M adhesive makes the finger ring holder attach to your device to provide a secure grip. It is compatible with almost all mobile phones and phone cases. Only 3mm thickness, easy to carry and add no appreciable weight to your phone. 360 degrees rotatable and 180 degrees foldable, free angle adjustment provide you with perfect viewing angles and hands-free convenience. 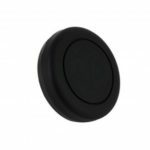 High-viscosity 3M adhesive makes the finger ring holder attach to your device to provide a secure grip, it can bear up to 5kg weight. It can adsorb to your magnetic car holder, and not easy to fall off. 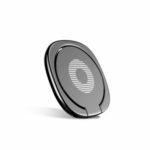 It is great to expand the touch screen with ring holder, and it allows you to have a better and safer grip on your phone, especially for the larger screen phone. Made of premium zinc alloy, with electroplating and polishing craft, smooth and solid, durable to use. It is universal compatible with almost all mobile phones and phone cases.